Looking at the list, there sure is a lot to be angry with if you hate America, or you want to see President Trump fail at all cost. Sadly, these empty barrels represent almost half the country. However, this optimist believes their constituents, the majority of them, find their behavior repugnant and disrespectful. Last week the empty barrells shut down the government. 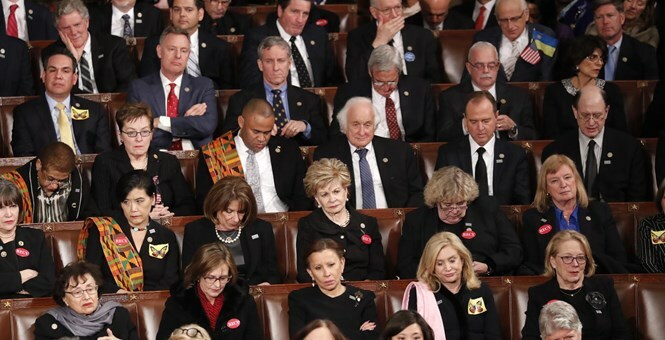 This week they disrespected the President and the American people with their poor behavior at the SOTU. Hatred never wins. I guess it is going to take another election cycle for the democrats to learn this all over again. America is winning again and the average citizen feels it, sees it and wants to celebrate it. According to CBS, 75% of Americans liked the President’s speech. Not the democrats. They are hoping for President Trump to fail, thereby America failing. The Elitists are losing and the Deplorables are winning again, bigly! The American people and their interests are first and foremost. Results matter, empty barrels should take note. … and one more thing, President Tump made about 15 big campaign promises prior to being elected. I hope you’re keeping score because in the Trump world a promise made, is a promise kept!